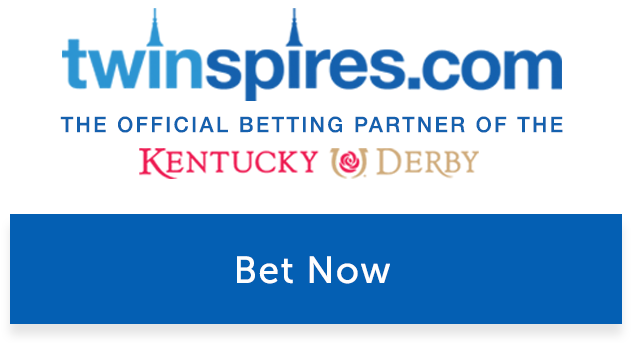 The Robert B. Lewis Stakes (G3) is a Road to the Kentucky Derby prep race and the 2019 edition at Santa Anita Park offers a purse of $150,000. The 1 1⁄16 mile race for three-year-olds has drawn a small field of six, with Sham Stakes (G3) winner Gunmetal Gray (#4) (9-5) the second choice behind race favorite Mucho Gusto (#5) (8-5). The respective top-4 finishers in the Robert B. Lewis receive 10-4-2-1 points toward qualifying for the May 4 Kentucky Derby (G1). Gunmetal Gray rallied from last to first and made up more than five lengths in the final furlong to win the Sham. The Jerry Hollendorfer-trained colt will have Mike Smith in the irons again looking for back-to-back victories. Gunmetal Gray is battle tested having finished fifth in the Breeders’ Cup Juvenile (G1) last November, and also second to Juvenile winner and eventual champion Game Winner in the American Pharoah Stakes (G1) two months prior. He carries top weight of 124 pounds, two more than Mucho Gusto. All others carry 120. Mucho Gusto debuts at Santa Anita for trainer Bob Baffert after finishing second in his last race, the December 9 Los Alamitos Futurity (G1). He set the pace before crossing under the wire in second and will be the one to catch again in this race with what appears to be little pace in the race. Joe Talamo returns to ride Mucho Gusto after guiding the son of Mucho Macho Man to a pair of victories last year in sprints, including the Bob Hope Stakes (G3) at Del Mar in November. Not close to the best Derby trail runners for Baffert, Mucho Gusto was beaten five lengths by his well-fancied stablemate Improbable in the Los Alamitos Futurity. The other competitively-priced horse is Nolo Contesto (#6) (5-2), who moves up in class and has strong stretch rider Joel Rosario aboard. Nolo Contesto makes just his third start after breaking his maiden while running wide around two turns on January 4 at Santa Anita. Improvement is expected from the son of Pioneerof the Nile, who won this race in 2009 prior to capturing the Santa Anita Derby (G1) and finishing second in the Kentucky Derby. Pioneerof the Nile went on to sire 2015 Triple Crown winner American Pharoah. Magnificent McCool (#2) (8-1) was an expensive $625,000 purchase as a two-year old and finally broke his maiden going long on the turf last out in his sixth start. None of these colts will challenge the race speed record of 1:40.76 set in 2008. Bob Baffert has won the race a record six times, and was a regular trainer for Robert B. Lewis. The race was renamed for the beloved and admired Mr. Lewis in 2007 following his passing the previous year. The Robert B. Lewis Stakes is a Road to the Kentucky Derby prep race held annually in early February at Santa Anita Park in Arcadia, California. The race is open to three-year-olds and is the second Kentucky Derby (G1) prep at Santa Anita to start the New Year. The top four finishers are rewarded with Kentucky Derby qualifying points (10-4-2-1). The Grade 3 race has been run at various distances and is currently contested at 1 1⁄16 miles. The purse is $150,000 and the race is also a key prep race for the Santa Anita Derby (G1) in early April. The Robert B. Lewis stakes was originally called the Santa Catalina Handicap in 1935. In 2007, it was renamed to honor the prominent racehorse owner and philanthropist who died in 2006. The 2018 running won by Lombo wire-to-wire was the 80th running of the race. The speed record for the 1 1⁄16-mile race is 1:40.76 set by Crown of Thorns in 2008 with Triple Crown-winning jockey Victor Espinoza, who also won the race in 2017 aboard Royal Mo. Retired jockeys Bill Shoemaker and Laffit Pincay Jr. tied as the winningest riders of the race, with Shoemaker’s last coming in 1988 and Pincay’s final one year later. Trainer Bob Baffert, a regular trainer for Robert B. Lewis, has won the race a record six times. Notable winners of the Robert B. Lewis Stakes include Kentucky Derby winner Ferdinand (1986, Shoemaker), Sham (1973, Pincay won the race a third straight time), Dortmund (2015, Baffert), Kentucky Derby and Preakness Stakes (G1) winner I’ll Have Another (2012), and Pioneerof the Nile (2009 with the late Garrett Gomez riding for Baffert). Pioneerof the Nile finished second in the Kentucky Derby and is the sire of 2015 Triple Crown winner American Pharoah. Other Robert B. Lewis Stakes winners who also won the Santa Anita Derby include: Sham (1973), An Act (1976), Larry the Legend (1995), General Challenge (1999), The Deputy (2000), Brother Derek (2006) and I’ll Have Another (2012). Bob and Beverly Lewis were generally beloved and admired, and they graced the Sport of Kings with a rare brand of dignity and class. The race named in Bob’s honor represents his wisdom, class and character, along with his love for the sport, California racing and the Kentucky Derby.